The Bianconeri beat Lazio 2-0 in comfortable fashion, despite Allegri having dropped Paulo Dybala and Douglas Costa from the starting eleven. “It was a different game to Chievo, but above all at the start we were a little hasty. 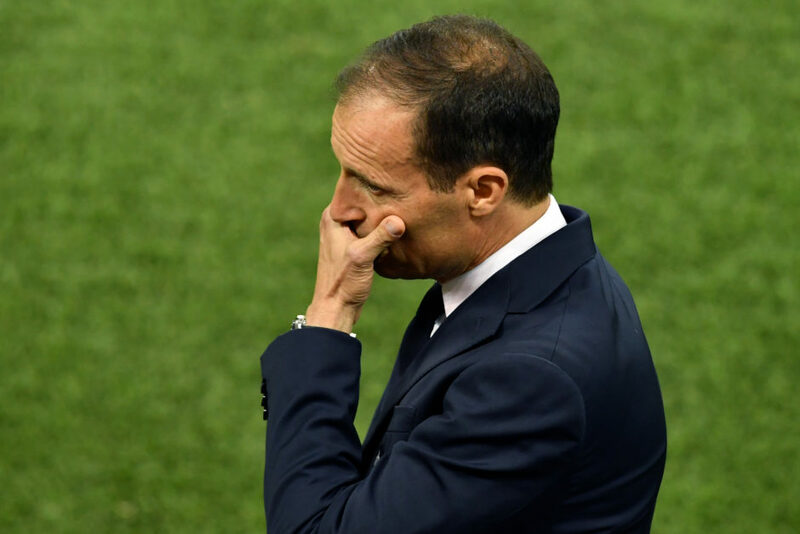 The danger today was to get swept up in the enthusiasm of the stadium for Cristiano Ronaldo’s first at the Stadium and we should’ve had more patience,” Allegri told Sky Sport Italia. “Without Dybala, it becomes more difficult to pass between the lines, but after a while we defended well and did far better in the second half. “At times we fall asleep, at others we get frenetic, whereas we need more balance throughout. The spaces did open up after a while and we should’ve accelerated when the opponents were more fatigued. “Once again, the substitutions were very important with Douglas Costa, Emre Can and Rodrigo Bentancur making an impact off the bench. “We have to improve our tempo, our control and the way we read the game, but the centre-backs did a good job against Lazio’s dangerous counter-attacks. “It’s one game per week in the first three rounds, but from September 15 onwards there will be midweek Champions League games too and naturally we’ll need everyone. The important thing is that those who come off the bench contribute in the right way. “I have a very strong squad and have to evaluate everyone. We needed these characteristics in midfield today, but I could take a different approach to Parma. “Dybala connects the lines, Bernardeschi can do that too, but those who were at the World Cup arrived late to pre-season training and not everyone finds their fitness levels at the same time. Mandzukic and Matuidi have a different engine to others. “The important thing now is that I choose a starting XI with technique, balance and physicality. That doesn’t mean those on the bench are useless, but I can’t play more than 11 at a time.